The guys on take the film that launched a million goth kids into their Tim Burton obsession! 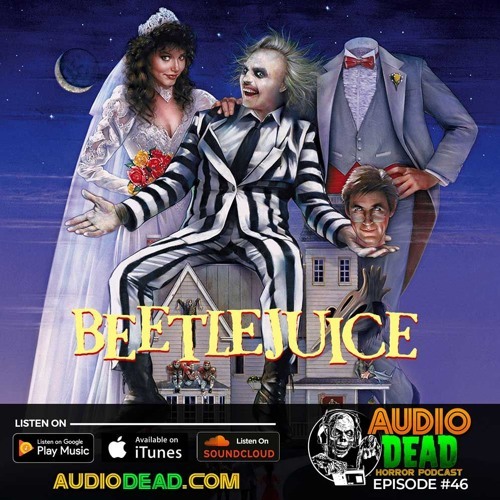 It's the 1988 classic film Beetlejuice starring Michael Keaton and Winona Ryder! Join us for a discussion about this quirky dark comedy that seems to be more popular today than ever before! Make certain to subscribe to our show on iTunes, or wherever you listen to the show, leave feedback and tell your friends about us! Reach out with your comments or suggestions on our snazzy website at audiodead.com and find us on facebook or twitter (@audiodeadhorror).